One of my favorite lenses are Tamron SP series, all members are exceptional. 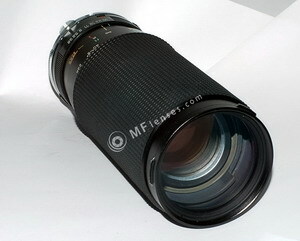 Tamron SP 60-300mm also an excellent lens it has comparable quality with many prime lenses. Very good performer indeed, sharpness and color rendering just great. I saw many sharpest prime lens, but I not saw many better zoom lenses.In my opinion this lens a very good traveler lens , because quality is pretty good and it has also a good multi purpose focal length range from portrait to long tele photo. Bit long lens and sometimes not easy to get right focus, but a very usable lens. You can get if lucky dirt cheap on Ebay. Well built massive construction after many years just perform as well. A good zoom, with a decent performance even at 300 mm and w/open. However, the "true" maximum aperture at the long end is around f/6. Visible vignetting w/open. Macro setting (1:1.5) is available only at 60mm, which is not suitable for shy subjects due to the very short working distance. I recently found this lens in my basement as it used to belong to my mother. I have a digital Canon Rebel T2i EOS and was wondering if there was any type of mount/adapter I could purchase to use with this Tamron lens. I just got this lens, and wonder if I've made a mistake. I hope you can tell me if the lens has a problem. There is a 1/8th of an inch of play back and forth in the zoom. I have the 58A & 103A zooms and there is no play in the slide movement. Also how close does the lens focus in Macro mode? I bought my first Tamron 23A in 1986. It was a fairly expensive zoom back then -- about $300US. But I felt it was worth every penny. It become one of two walk-around lenses that I would always carry whenever I was out with a camera (the other was a Vivitar Series 1 28-90mm f/2.8-3.5). I used it for anything from macros to candids to motorsports. It delivered slides that were critically sharp at all focal lengths, and surprisingly sharp macros. It's a bit long and a bit heavy, but has a very solid feel and is very well built. It's a push-pull one-ring zoom, which some folks consider to be a drawback, but I never have. Theses days, I own two SP 23As, and still use them often with both my film and digital cameras. This is a lens well worth adding to your inventory. If you're patient you can often pick up a clean example off eBay or shopgoodwill.com for a very reasonable price. Or perhaps even a camerashop that deals in used equipment. I bought one of mine at a camera shop for $40 and the other off eBay for $20. The latter even came with an adaptall-2 mount, a $15 to $20 accessory! I have to agree, out of all my lens this one is always been my favorite because it does so much and works flawlessly (for the moment),a well built study lens, tad on the heavy side but personaly I'm glad of the weight.I have been using it alot recently for macro photography and am always amazed at how well this lens works.